Bright Star is easily one of my favorite films. Just the quiet simplicity of it is something that should be appreciated more in other films. Whether it's Campion's direction, the performances from Ben Whishaw and Abbie Cornish (both of whom still have yet to receive their proper moment in the Hollywood spotlight) or Grieg Fraser's cinematography (how does he not have an Oscar nomination yet? ), it's a film that's (fittingly) visual poetry. It's this shot that I feel sums up the entirety of the film. It combines the two passions of John Keats' short life: writing and Fanny Brawne. It's this bit of editing by Alexandre de Franceschi that makes me adore the film even more. I truly and deeply hope that more people will seek this film out. 3. We are not looking for doppelgangers - we are looking for one person with two sides. 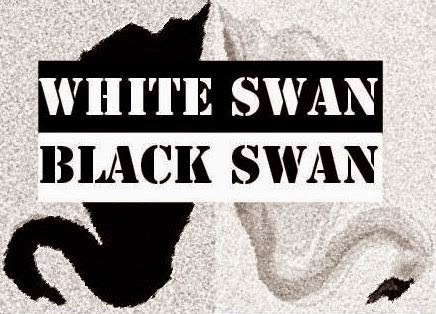 For example in Black Swan you can write about Nina and her alter ego but not about Lily and Nina, which are two different people. You can write about Gollum/Smeagol but you cannot write about Bette and Dot - the Siamese twins from AHS: Freakshow - because technically they are two different people. 4. Write about why you chose the character. A running theme throughout Xavier Dolan's films involves focusing on strained relationships, particularly those of the familial sort. The most telling film with this theme is his debut I Killed My Mother. (Tom at the Farm is a lesser example.) But his newest film Mommy depicts a more volatile mother-son relationship than Dolan's first film. Mommy focuses on the fraying bond between Diane (Anne Dorval) and her ADHD-addled son Steve (Antoine Olivier Pilon). In a fitting gesture, Dolan casts Dorval once again as the suffering matriarch. (She did such a role before in I Killed My Mother.) But there are very distinct differences between Dolan's first and newest films. While I Killed My Mother is told from the perspective of the son, Mommy is clearly told from the perspective of the mother. And with the different points of views, both films don't want the viewer to take sides. They just want you to watch the chaos unravel. And as expected from a Dolan film, the performances are great. Dorval and Suzanne Clement, both Dolan regulars, provide an insight into two complex women. (You just don't see roles like these in many American films, do you?) And Pilon, a complete unknown outside of Canada prior to this, definitely shows promise for a thriving career. Mommy is a fantastic film. Thanks to the work from Dolan, Dorval, Pilon and Clement, it's a portrait of the stormy bonds we share in our lives. Seriously, be sure to see it. 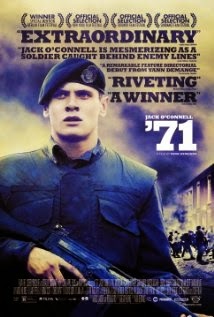 Yann Demange's '71 is by no means a film for the weak-hearted. It's a deeply intense film with suspense so thick, you could cut it with a butcher knife. It's also a brilliant film. It's not just Demange's work that makes '71 so effective. There's also David Holmes' music and Tat Radcliffe's cinematography, both of which adds to the film's suspense (though the latter might not always please everyone). It's because of these that the film is so brutal. Which brings us to Jack O'Connell's work. As he has proven over the previous year, O'Connell gives a performance that's raw and unflinching, something that only the boldest of actors would be willing to put themselves through. Suffice to say that O'Connell is going to be an actor to keep an eye on. 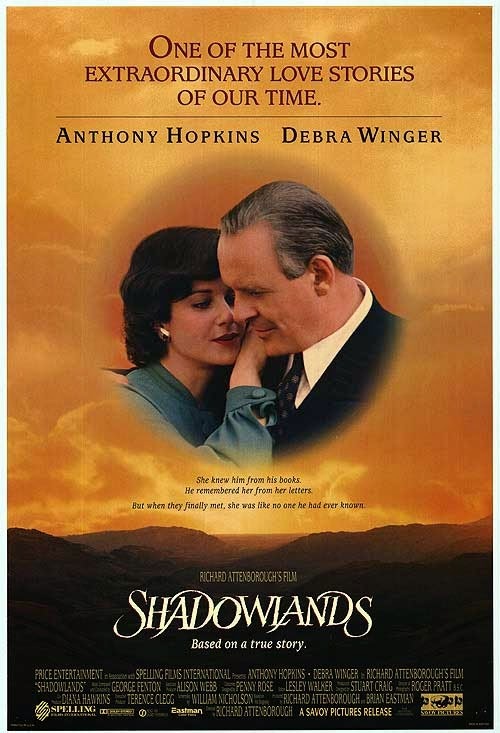 Richard Attenborough's Shadowlands is one of the many quiet films to come out of the United Kingdom during the 1990s. Yet for some reason, it isn't held in the same regard as Howards End or The Remains of the Day. It's hard to see why; it's a very well-realized biopic. The film focuses on the relationship between British writer C.S. Lewis (Anthony Hopkins) and American poet Joy Gresham (Debra Winger). It highlights the early days of their courtship and how it met a tragic end. A familiar premise to some, maybe, but it can be told beautifully in the right hands. Mich like Bright Star and The Invisible Woman in the following years, Shadowlands doesn't linger on the physical act between the famed writer and his mistress. It instead focuses more on the personal connections between the two. It's something that should be applied more to films of this nature. And the performances are very good. Much like his work in The Remains of the Day, Hopkins delivers a quiet turn as Lewis, one of silent longing and affection. Winger meanwhile provides a nice foil to Hopkins' role, one that's more outspoken than his more reserved personality. Yet through subtle changes, both become more comfortable around each other. Shadowlands is easily one of the lesser-known biopics of the last thirty years, and it's unfortunate that not many people have seen it. Thanks to the work from Attenborough, Hopkins and Winger, it's a deeply realized film. The opening moments of Terry Gilliam's The Fisher King show shock jock Jack Lucas (Jeff Bridges) basking in his fame in his own arrogant way. He promptly gets knocked down several pegs when one of his broadcasts inadvertently causes a mass shooting. The next three years have him spiraling out of control. And Gilliam also got memorable performances from his actors. Mercedes Ruehl steals every scene she's in. (No surprise on how she won the Oscar.) Amanda Plummer displays a quiet, mousy air to her role. (A stark contrast to her more famed role in Pulp Fiction.) Bridges has a damaged, fiery edge not normally seen in his other roles. But the star is clearly Williams. His performance switches from comedy to drama, sometimes within the same scene. (His declaration to Plummer is a beautiful example.) Oh, did we lose one of the greats last year. 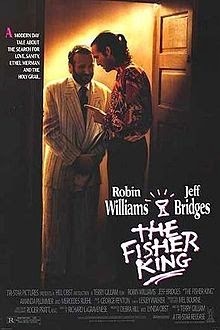 The Fisher King is a charming and dazzling film (though not dazzling in the way you might think). It's a film where all its elements work wonders both by themselves and together. Be sure to see it. Opinions have changed within the last hundred years. Before, we lived in a society that if you weren't a straight white male, you weren't going to get very far in life. Granted, that's still somewhat a situation nowadays but the amount of bigotry has lessened considerably. E.M. Forster was one of several names to focus on homosexuality in their work. 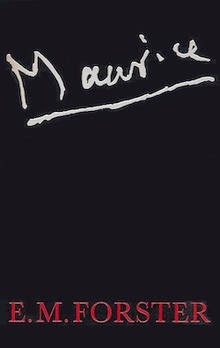 For Forster, it was in the form of Maurice, which surely would have sparked outrage had it been published in the era it was written in. 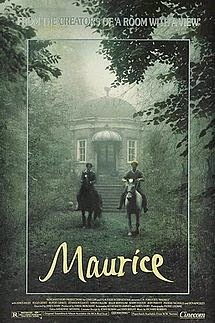 (Forster wrote it after Howards End but it wasn't published until 1971, a year after his death.) The scandal that would have ensued aside, it's a quiet yet deeply moving piece of literature. James Ivory's film keeps the spirit of Forster's novel very much alive (albeit there are a few minor tweaks here and there). Like the other Ivory-directed Forster adaptations (A Room with a View and Howards End), it displays a defiant nature beneath the genteel veneer. And seeing as how the film was made in a more liberal time than Forster's, it allows Ivory to depict what Forster could merely allude to.